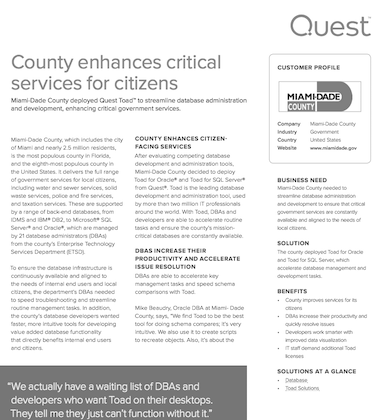 Automate and schedule routine and repetitive processes, including data and schema comparisons to save time. Undo or redo transactions stored in log files by reading online transaction logs, detached transaction log files, or log file backups for reconstructing transactions. 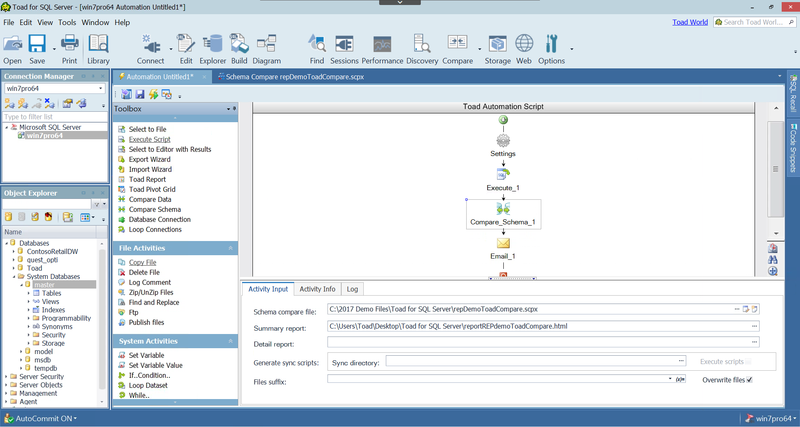 Compare data between two databases, identify differences, and run or generate a script to synchronize. 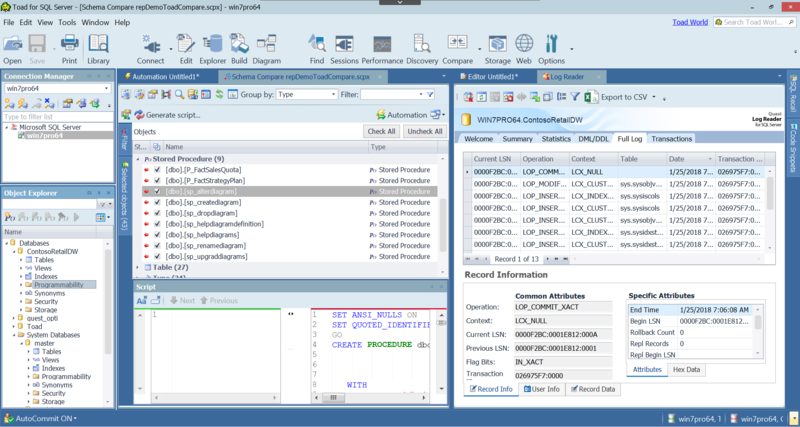 Work more efficiently with advanced code completion, SQL formatting, and Script Map structured presentation of SQL scripts. Execute scripts against multiple servers and instances. 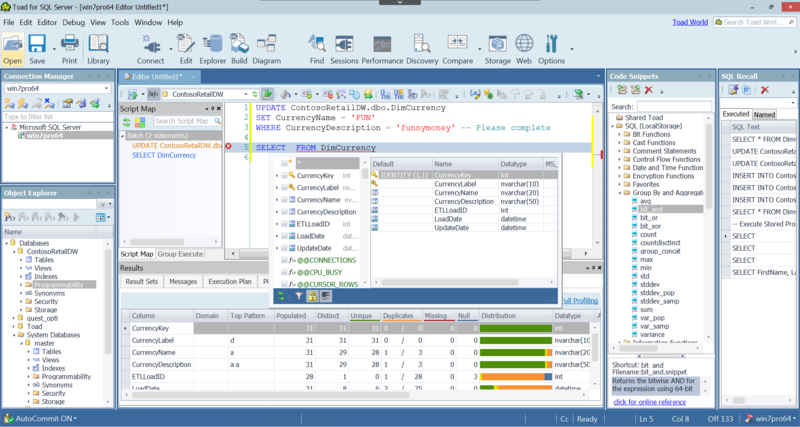 Perform advanced SQL and T-SQL script debugging. 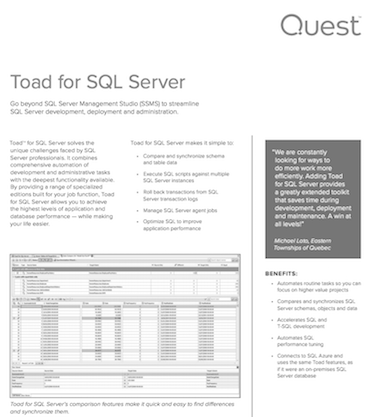 Toad for SQL Server’s video library includes helpful how-tos and product information to help you get the most out of Toad for SQL Server. 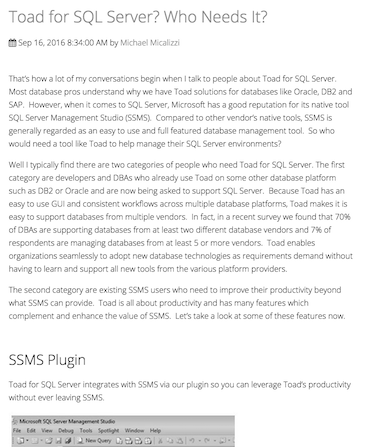 The Toad World Forums is your place to ask and find answers to questions, and discuss Toad for SQL Server with other users, whether you're a new customer or an existing one.